How do I configure mixed-version deployments of VNC Server on Windows computers using Group Policy? 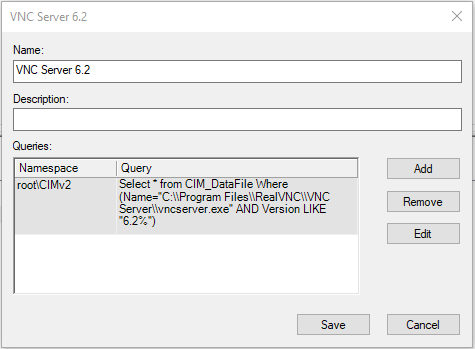 If you have an Enterprise subscription, you can configure VNC Server running on computers you want to control in bulk or remotely using Group Policy. More information. Follow these instructions to download policy template files from RealVNC and edit parameters appropriately. Create one Group Policy Object (GPO) for each version of VNC Server you want to configure. In Group Policy Management Editor, select WMI Filters from the left-hand pane.